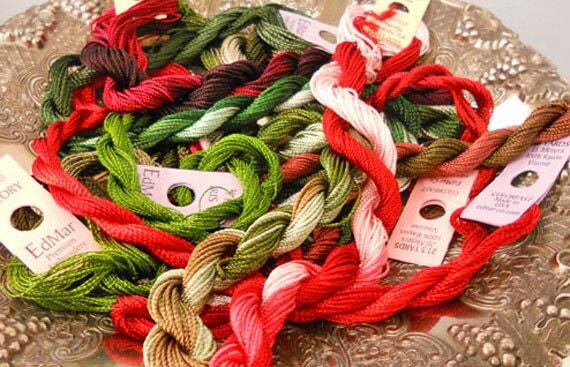 Victorian Christmas Thread Pack of 10 skeins of Edmar Thread. Victorian Christmas Thread Pack contains 10 skeins of thread of Edmar Thread. This grouping is all colors perfect for christmas...red, green, and some white sprinkled in. Love my recent order. It arrived quickly considering it traveled around the world! Shop is easy to work with-very responsive. Recommend highly.